Well, we just got home from a great weekend away visiting our son at college. Everything just seems right with the world when my family is all together. It’s so hard to say goodbye, although Spring Break is coming up soon…WOO HOOO! Can’t wait for that! Now the real reason you stopped by is to see a card now isn’t it? 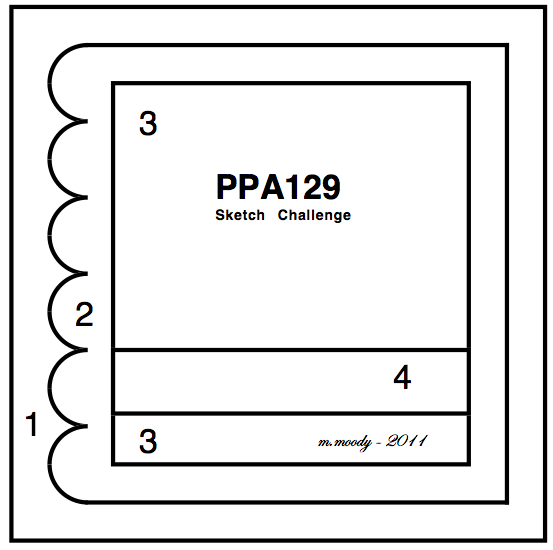 🙂 This one is for the Sketch Challenge over at Pals Paper Arts. I loved the sketch and knew I would play along as soon as I got back to town! The ladies over at PPA are very, very talented. Go have a looksie! 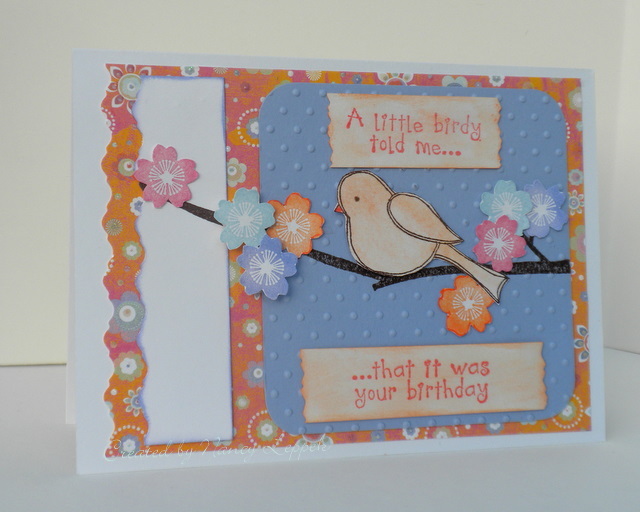 Categories: Cards, challenges | Tags: Card making, Cards, Happy Birthday, rubber stamps, stamping | Permalink. This is so sweet! Love the bright flowers!